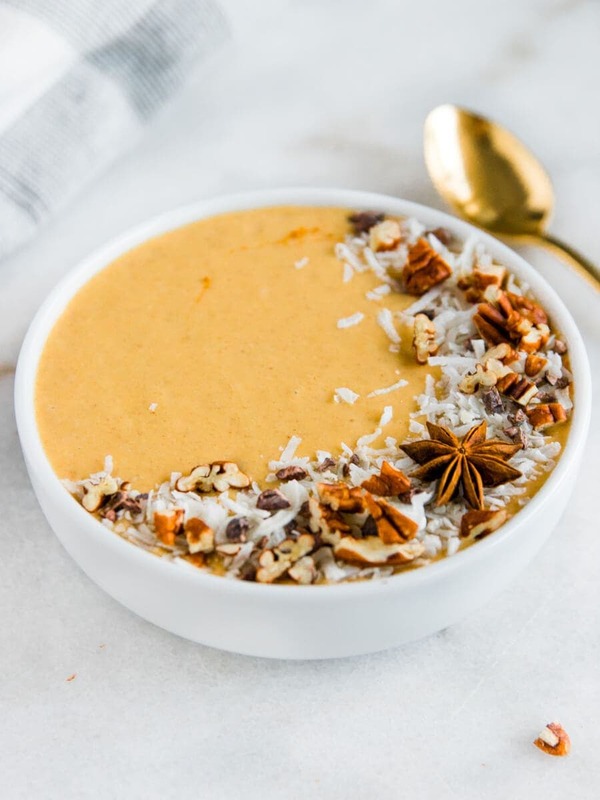 This Fall inspired pumpkin chai smoothie bowl is so delicious and filled with so many healthy ingredients. It uses spices to “warm” up your smoothies and it even looks like fall. Fall is in full swing and I’m not drinking a smoothie every morning these days. It’s just way too chilly here in Seattle to be tossing frozen cherries and pineapple to my breakfast. 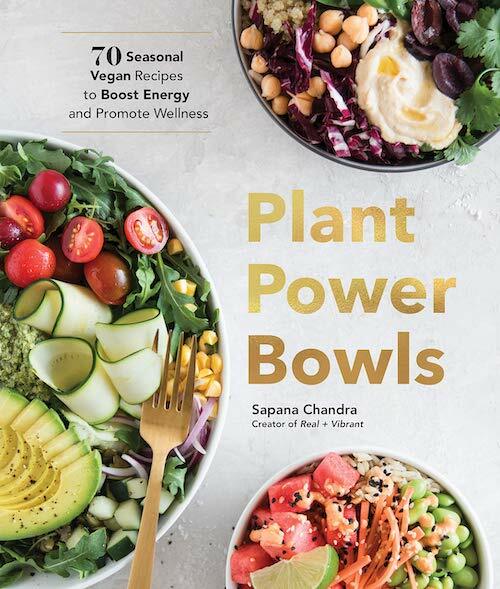 But a great way to get around that is by using seasonal produce and using spices to “warm” up your smoothies. That’s when pumpkin makes its appearance. Pumpkin is actually so good for you — it’s one of those few foods that are both healthy and delicious without much work. Did you know that pumpkin is known to be good for your vision, helps lower blood pressure, helps protect your heart, great for sleep, and leaves you feeling full much longer. There are so many other great benefits of pumpkin but these were the ones that really got me interested. So that’s when this smoothie comes into play. It’s packed with pumpkin. 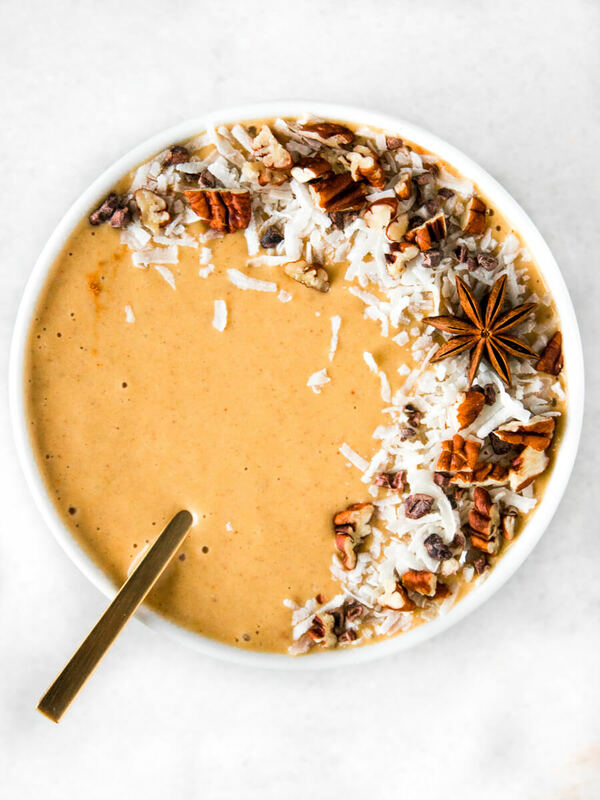 And this Fall inspired smoothie bowl is so delicious and filled with so many healthy ingredients. It even looks like fall, wouldn’t you agree? Made with pumpkin, it’s perfect for mornings when you’re craving a smoothie but none of the summer fruits and vegetables. In a high-speed blender, combine all of the smoothie ingredients. Blend until smooth and creamy. Enjoy immediately.